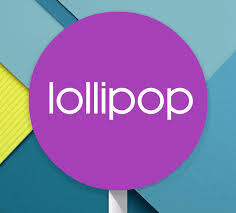 This package contains the tools and image to restore or replace the operating system image on the supported tablet models running the Google Android Lollipop Operating System. - Provides the updated image. You may also request a copy of this source code free of charge at http://www.hp.com/software/opensource. 1. Download the update.zip file to your computer. 2. Copy the update.zip file onto the microSD card. Do not unzip this file. 3. Fully charge the tablet and then disconnect the power from the device. 4. Power off the device. 6. Pull gently to remove the microSD card tray. 7. Insert the microSD card containing the update.zip file into the tray. the Power button to validate the selection. while the device is being updated. displaythe message, "Install from sdcard complete." 13. Reverse the procedure detailed in step 5 and 6 to remove the microSD card. 14. Press the Power button to select, "reboot system now."